Great Impressions: Halloween Special for You! 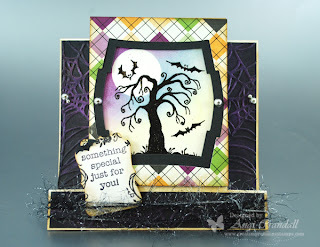 And a few Distress Inks and you've got yourself a Halloween card! 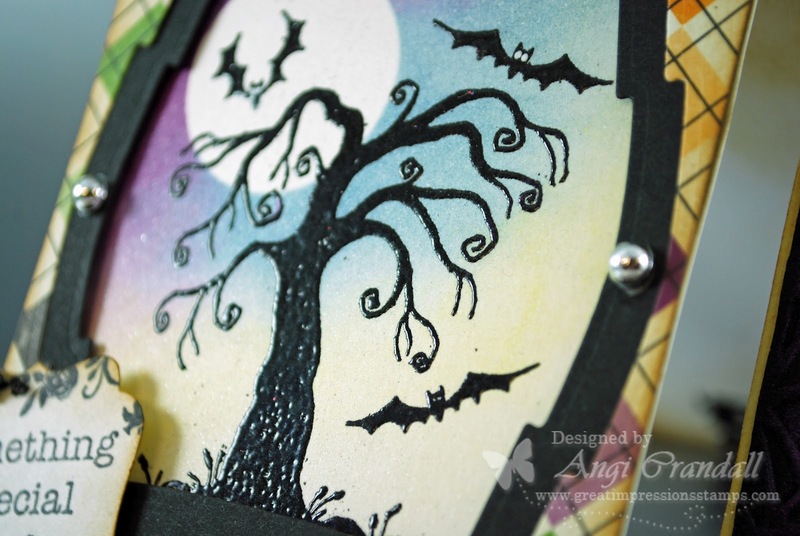 There's still time to sign up for the charity hop...and enter the September Challenge! 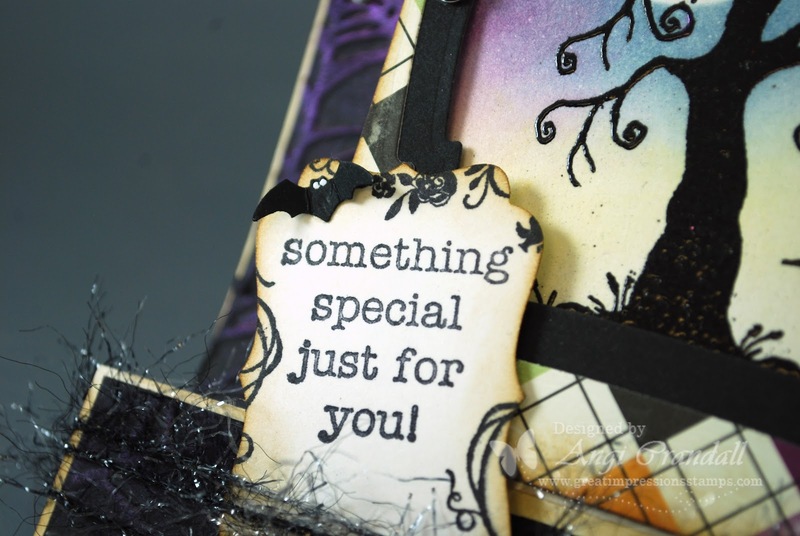 What a fun and creepy card. 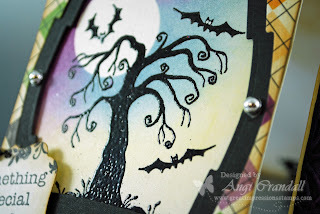 I think I may have to get that tree. 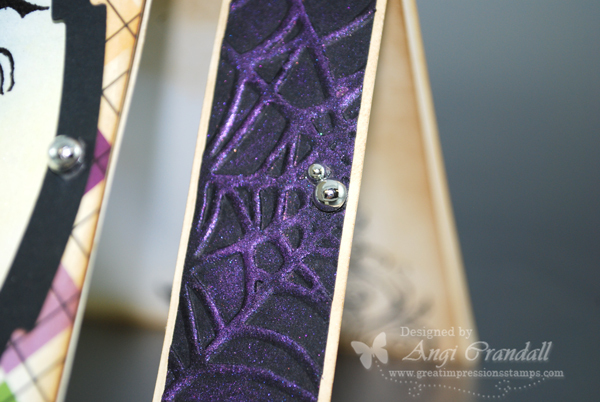 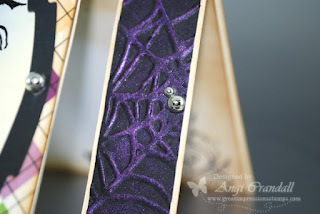 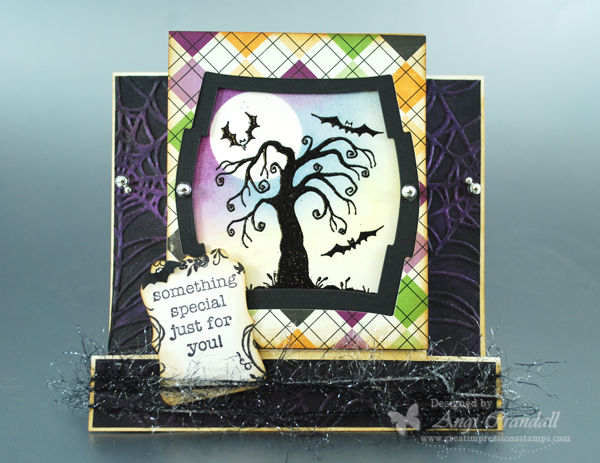 Love the spider web and all that spook-tacular dimension you created Angi!